As a former theater critic I see the parallels between a good show and a good hotel. Both take people into a different realm. Compelling theater can take viewers into all kinds of spaces mentally, though they should generally be physically comfortable. A great hotel should provides respite from the road and be hopefully free of insects while providing the kind of reality entertainment derived at the interaction of travelers, staff, food culture and design. Returning from Bali I stopped off in Kuala Lumpur, a city that irritates me as only a traffic-clogged mess of lost opportunities can. Zoning is weird (from the monorail across the center there are vacant lots and huts next to 30-storey buildings …), much of it can only be reached by car, and if a city has been mostly constructed in the past 20 years and has little character left, then at least it should be efficient. As the hub of Air Asia, KL is a mandatory stop. It’s not a terrible place – especially if you like malls – unless you are in one of those traffic jams where you are ten miles from the city and it takes an hour to go round the block. There hasn’t been a new hotel in Sentral for about eight years, but Aloft Kuala Lumpur Sentral opened earlier this year and it’s fun – a bit like an immaculate nightclub (but with quiet rooms). It has perky, friendly staff (or “Talent”), bright colors (lots of lime green at the breezy breakfast) and plays the latest music video clips in the elevator (a chance to see what Britney Spears is up to while going up yourself). The concept is well established in North America, but there are only around a dozen Alofts in Asia, and this is Malaysia’s first. 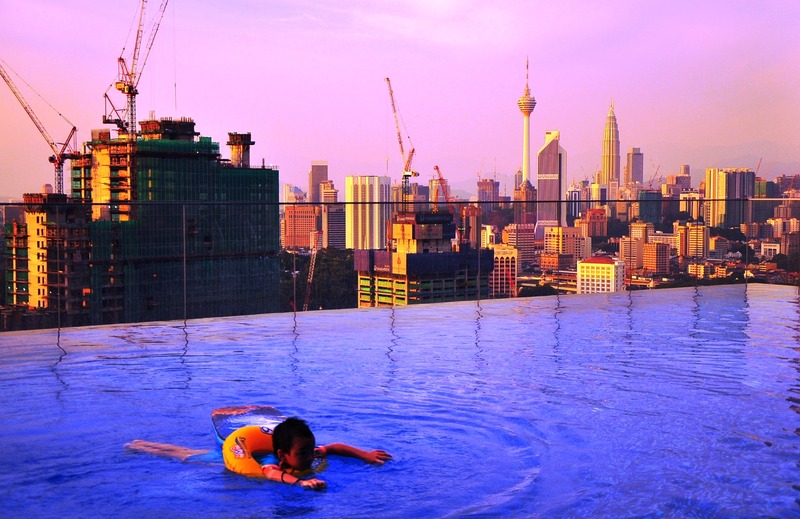 With 482 rooms and suites over 29 floors, Aloft KL is the largest in the world. The outlook is futuristically urban, with skyscrapers, highways and rail terminals. Ascending to the rooftop for a swim with a view of the central KL skyline, cocktails from the bar and a bouncy soundtrack, the atmosphere was rather LA pool party. But if the streamlined check-in/check-out and DIY minibar is too much efficiency, the lively Indian community of Brickfields is a few steps down the street, and as an antidote to all the concrete and man-made structures, Lake Gardens with the National Museum and a deer park are a short walk away. Being KL, it is impossible to describe how to get there on foot – the area is a jumble of car parks and large roads to accommodate vehicles rather than pedestrians. The easiest thing to do is head for Le Meridien outside the station and ask someone. That’s what I did. Essentially you head down a car park ramp, get onto the highway, look for the steps … you really just need to do it. 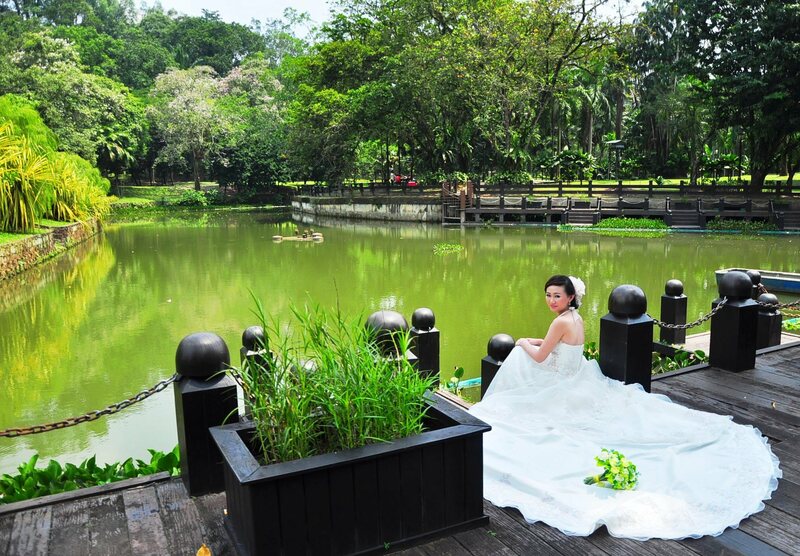 The good thing is, it isn’t far and the park is green and quite calm – even on a weekend there was hardly anyone there, except a bride and her small photographic entourage.